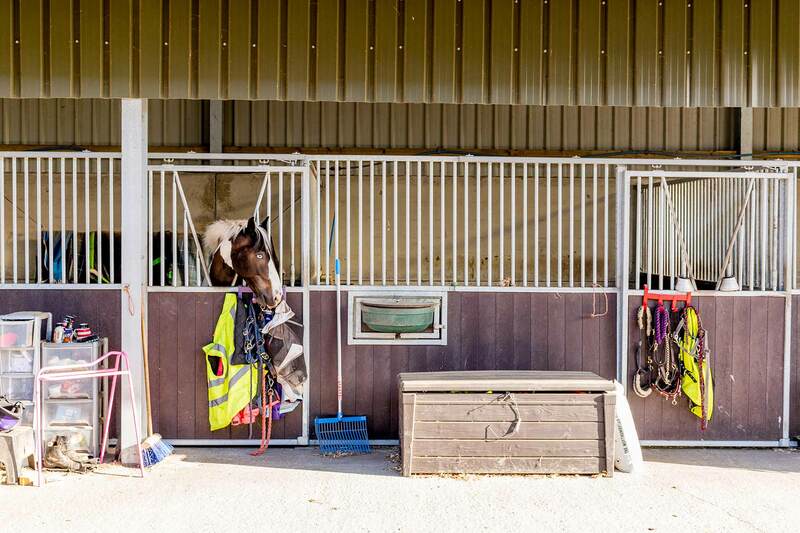 Choosing a home for your horse can be a little overwhelming. So what makes our DIY livery so special? For us, it’s quite simple. 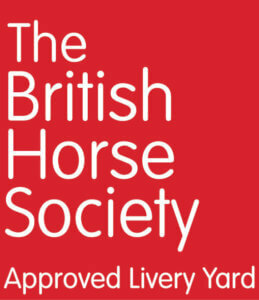 We’re a friendly, welcoming, British Horse Society approved livery yard. When you get to know us you’ll find that we’re a contented, helpful bunch who share a great love for horses. 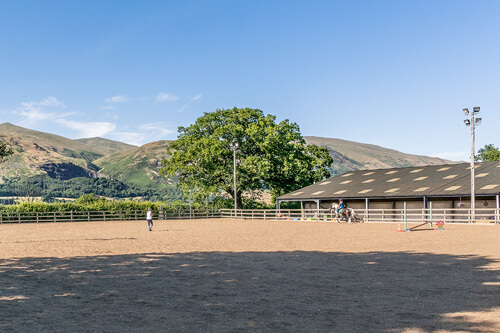 DIY is a real commitment so we go out our way to provide you with first-rate facilities in a safe, stress-free environment so your time with your horse is everything it should be – relaxed and fun. And we’ve got fantastic off-road trekking and hacking for riders at all levels with plenty of short and long route options – acres of countryside and woodlands, and the idyllic Gartmorn Dam Country Park is only a short canter away. Find out more about Blackfaulds Farm Livery. Find out more about our DIY livery – are you ready to get mucked in? 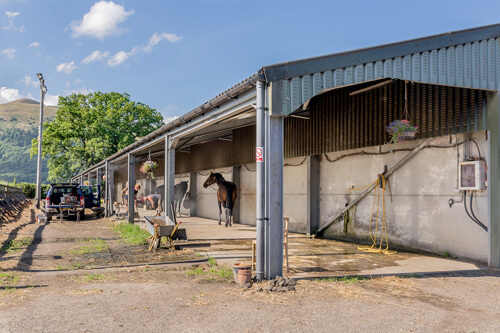 Find out more about our stables, grazing, paddock and floodlit arena.